Almost three in ten young Ontarians – and one in three young men in Ontario – are entering an increasingly demanding labour market without any postsecondary training or credential. This is one of the main findings from a new Mowat analysis of data from the 2016 census. 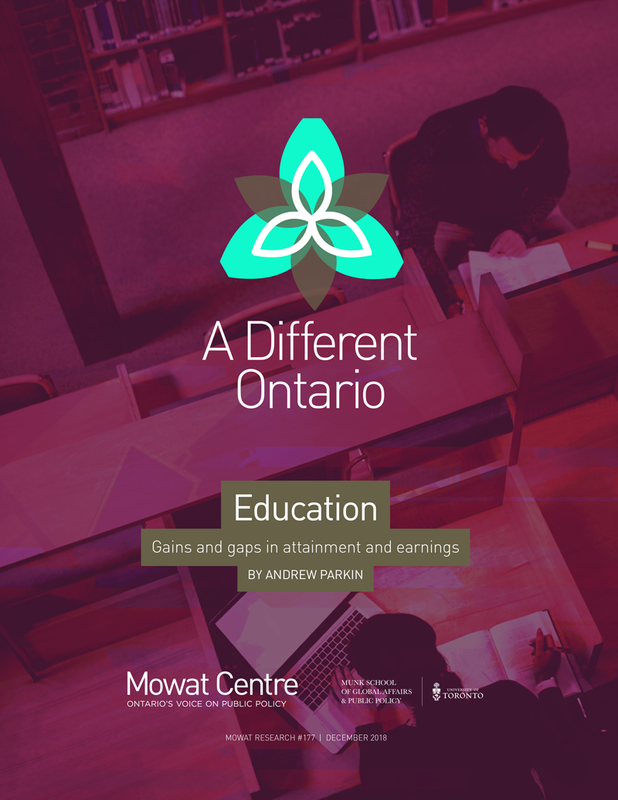 This analysis also shows that Indigenous peoples and certain visible minority groups in Ontario have important and worrisome educational attainment gaps when compared with the Ontario average. In the case of First Nations peoples in particular, these gaps unfortunately have not been narrowing over time. We also find that only three out of five university graduates in the province have a degree from an Ontario institution, pointing to the importance of migration in developing the province’s human capital. At the same time, immigrants with international degrees lag behind immigrants with Canadian degrees in terms of employment income. These findings underline a number of policy priorities. It is important to continue to focus on measures to encourage young Ontarians – especially Indigenous youth and youth from Southeast Asian, Black and Latin American communities – to access and succeed in postsecondary education, particularly in university. At the same time, Ontario must also continue to focus on recruiting skilled workers from outside its borders and on further leveraging its education system for this purpose.